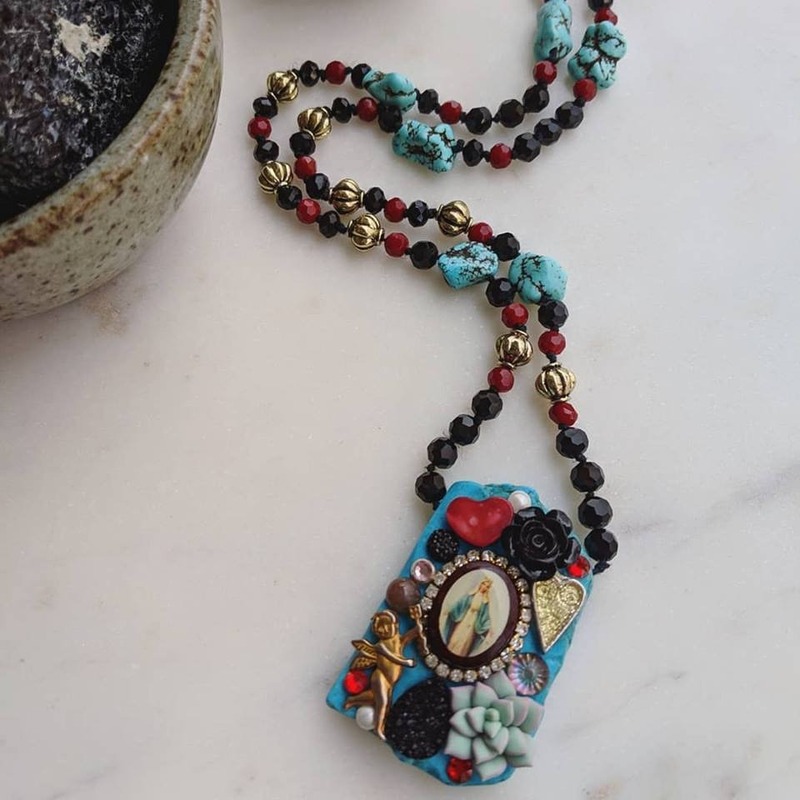 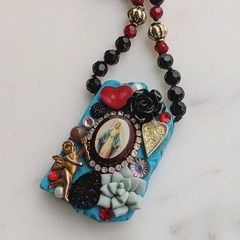 Inspired by the Milagros of Mexico and the Southwest. 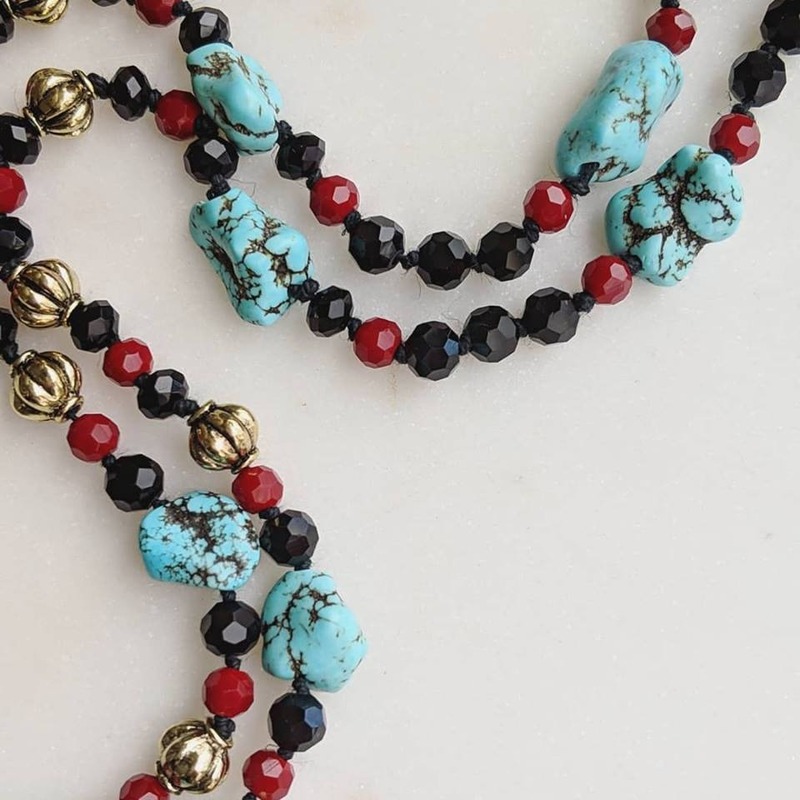 Created with howlite "turquoise" nuggets and Czech glass beads for a vintage vibe. Some of the components hand fixed on the Milagro piece are upcycled and vintage. 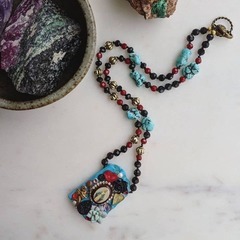 Hand-knotted with hemp twine.